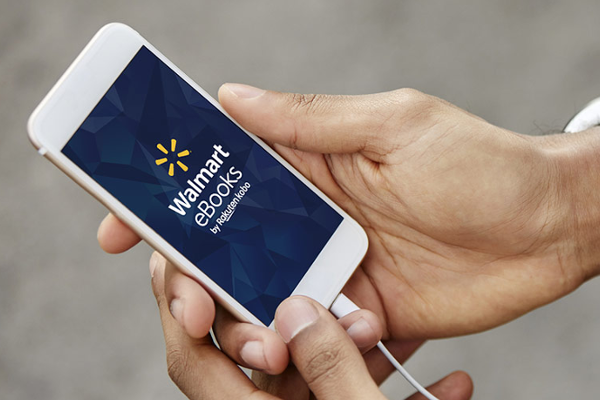 Walmart eBooks app launches on Android and iOS. Walmart today announce the release of Walmart eBooks by Rakuten Kobo, Walmart's partnership with Kobo to offer an all-new digital books catalog in stores and online. With over 6 million eBooks and audiobooks to choose from, go digital with a world of reading at your fingertips with the free Walmart eBooks app on Android and iOS. Walmart eBooks app offers world's best eBooks, audiobooks, graphic novels, and children's books to enjoy instantly on your smartphone or tablet. Walmart eBooks will be accessible through co-branded iOS and Android apps, and on Kobo eReaders. Kobo's library of more than six million titles - from New York Times best sellers to a wide variety of indie titles and children's books. A new monthly audiobook subscription - Customers will be able to subscribe to our audiobook service for $9.99 per month, which includes one audiobook per month. The ability to purchase digital book cards in 3,500 Walmart stores - Walmart will offer nearly 40 titles including The Power of Now by Eckhart Tolle, Astrophysics for People in a Hurry by Neil deGrasse-Tyson and Capital Gaines by Chip Gaines. These cards will roll out to stores beginning this week. Access to Kobo's eReaders online and in-store - Starting today, customers can choose from a variety of Kobo eReaders on Walmart.com. In 1,000 stores, we will offer the Kobo Aura starting later this week. To celebrate the launch, Walmart offering first-time customers who sign up online $10 off their first a la carte eBook or audiobook. In addition, customers who sign up for the audiobook subscription will receive a 30-day free trial.